Where can I view the Message Board? You can access your event message board by clicking the Message Board tab located at the top of the Manage Invitation page. 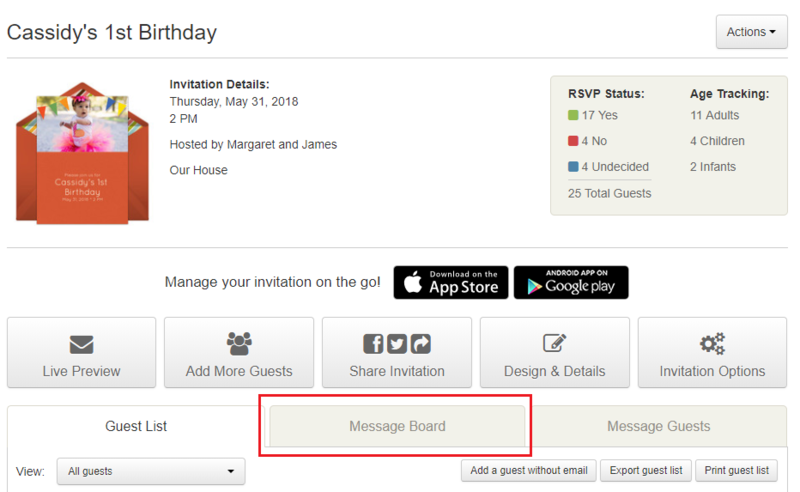 To access your event message board in the mobile app, first, tap on the My Invites tab and choose your invitation. Next, select the See all messages option underneath the Message Board section.